Home > Find a Physician > Barry Kosofsky, M.D., Ph.D.
Dr. Barry Kosofsky is the Horace W. Goldsmith Foundation Professor of Pediatrics and Chief, Division of Pediatric Neurology at NewYork-Presbyterian Hospital/Weill Cornell Medical Center and the Director of the Horace W. Goldsmith Foundation Laboratory of Molecular and Developmental Neuroscience. He is also a Professor of Pediatrics, Pediatrics in Radiology, Neurology, and Neuroscience at Weill Cornell Medicine as well as an Attending Pediatrician at NewYork-Presbyterian Hospital and NYP Komansky Children's Hospital. He is Board Certified in Neurology with Special Competence in Child Neurology, and in Brain Injury Medicine. After receiving a B.A., M.A. in Biophysics at Johns Hopkins University, Dr. Kosofsky entered Johns Hopkins University School of Medicine, where he was awarded his medical degree (M.D.) and a Ph.D. in Neuroscience. He completed his pediatric residency training at Children's Hospital in Boston, and his neurology residency training at Massachusetts General Hospital in Boston, where he also completed a Post-Doctoral Fellowship in the MGH-East Molecular Neurobiology Laboratory. In 1992 he joined the staff of Massachusetts General Hospital, and the Faculty of Harvard Medical School where he stayed through 2004. In 2004 Dr. Kosofsky joined the faculty of Weill Cornell Medical College, where he has directed the Division of Child Neurology, including the Child Neurology residency training program, and the Laboratory of Molecular and Developmental Neuroscience. Since coming to Weill Cornell, Dr. Kosofsky has recruited clinical and research staff who have created an academic clinical service to improve the diagnosis and treatment of infants and children with developmental brain disorders. The emphasis has been on developing and harnessing advanced methods in brain imaging, as well as neurogenetic diagnosis to advance our understanding of how disrupting basic programs for brain development result in structural and functional deficits contributing to neurologic signs and symptoms in pediatric patients. In addition to his clinical and administrative roles, Dr. Kosofsky is a clinician scientist who has developed and studied animal models of diseases, which affect human brain development. The goal of his studies is to gain mechanistic insights into such diseases, as a starting point for improved diagnosis and potentially therapy for affected infants and children, studies which he has pursued via translational research projects in human subjects. An important component of his research program is focused on understanding the consequences of intrauterine exposure to drugs of abuse. He has pursued studies in animals (mice) and humans to identify basic mechanisms underlying alterations in brain development resulting from gestational exposure to cocaine, their interaction with genetic factors, and their impact on learning and behavior. This work has included the application of computer-based methods for morphometric analyses of the MR scans of infants and children following intrauterine exposure to drugs of abuse. His approach is to use such sophisticated imaging methods as a foil for bi-directional translational research, which he has additionally applied to the fields of gene therapy for neurogenetic disorders, autism, and traumatic brain injury. The current focus of his research is identifying biomarkers predictive of ongoing symptoms following traumatic brain injury. That effort now includes the use of visual tracking, structural brain imaging, and functional assessments of vision, balance, and exercise tolerance as a means of elucidating the specific consequences of traumatic brain injury, as a starting point for individualizing therapy for individuals with ongoing post-concussive symptoms. Most recently this has included a study to identify the benefit of a graded exercise program for individuals unable to return to their baseline level of mental and physical functioning following mild traumatic brain injury. 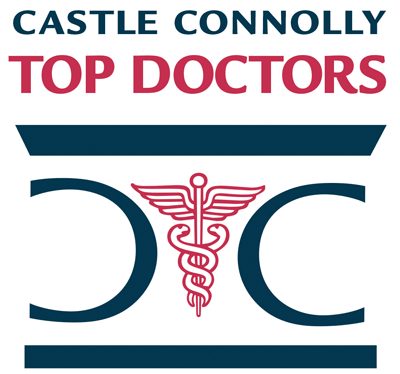 Barry Kosofsky, M.D., Ph.D. has been named one of America's Top Doctors by Castle Connolly. We have 384 of America's Top Doctors in 57 medical specialties.